If you’re asking “what’s next for me” in your life at work, we’ve got answers. Here are some of our most popular tools and ideas that can help you move forward today. Want more career & success tools like this to help you answer the question “what’s next for me?” We’re creating them all the time and sending them to you in email. 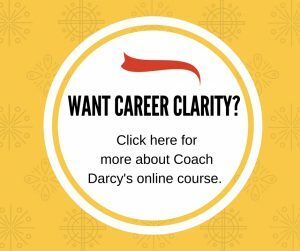 Sign up now to make sure you get the latest, as well as insider tips and stories from Coach Darcy that we only share in email. Want more personalized help to figure out what’s next for you? Learn more about our coaching on this topic here and schedule a complimentary consultation today.